Reebok reached out to me to help showcase how to customize their classics. I hosted events at their Boston stores; one in Somerville, Wrentham and then at their HQ store in the Seaport! Having all the tools to customize your own shoes there - I walked people through customizing their own! 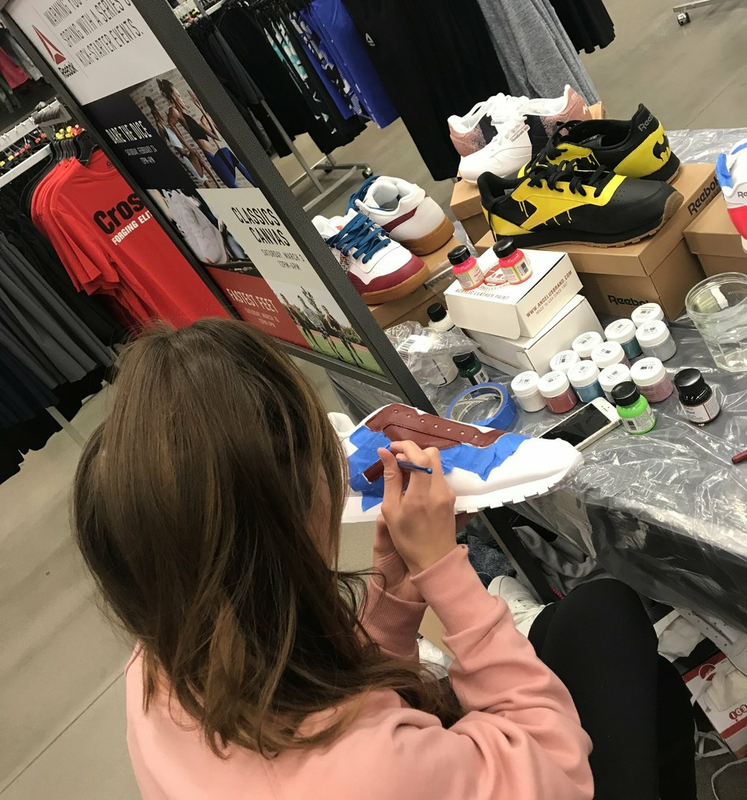 I designed a few pairs before the event and the day of I interacted with customers and helped them customize their own classics. If you are interested in custom classics by me please reach out! Let’s make it happen!